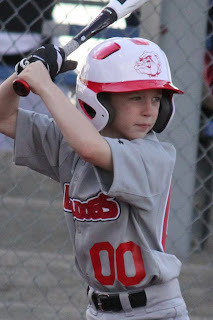 I just don't know where the days went, but this boy turns NINE today! He is one amazing kid! T: Well, I really don't need anything, so I don't want to be mean by not asking for things! He is NINE... what nine year old does that? He is truly a treasure and really completes our little family of four! Nine things about this little man! 1. He is so very sensitive, but it doesn't get in the way. 2. He has a great imagination. He can play with his legos for hours and create the coolest things from a bunch of little plastic blocks. 3. He is a team player. He loves the sport of baseball and is the first to support his fellow teammates no matter what the score is. 4. He is a natural born leader. He proves this in school and on the ball field. 6. And when the humor comes out he has the richest laugh that makes the whole room break into laughter. 7. He is a momma's boy, but not in a sissy fashion. He says he will always take care of me... even said when he is a "rich baseball player, I will buy you a house!" 8. He is a good natured, well mannered Young Man! 9. And he is MINE! We just love this guy so very much!